2018 is still a few months away, but, as always, Pantone is on the ball. They've already named their color of the year. It’s “Greenery,” you know like tree leaves. But I don’t care. Do you? If you make handmade jewelry, it’s okay if you care, but you don’t have to. Can you say yes to any of these questions? Do you research seasonal color trends before you decide which beads to use? Do you scan accessory blogs to make sure you mix and match the right tones? Do you check the fashion mags to see what’s hot and what’s not? 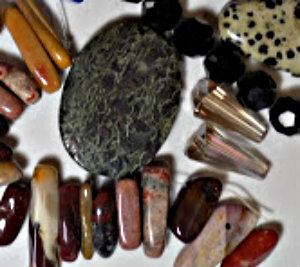 Suppose you do all of these things and then check your bead stash only to find that all of those beads you bought just a few months ago are on the “not” list? Do you spend hundreds of dollars ordering different colored beads? 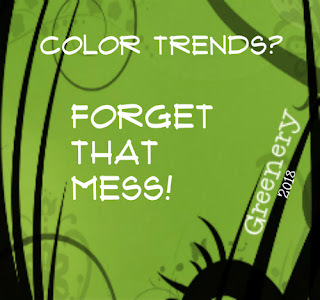 It’s nice to jibe with annual color trends, but you don’t have to. Yes, you want to create handmade jewelry that sells, but it’s not that complicated. Over the years I taught hundreds of women to create and sell jewelry, and not once did I mention the Pantone color chart as a creative guide. Of the hundreds of art and craft events I attended and the thousands of pieces of jewelry I sold for our jewelry cooperative and for myself, not one customer ever insisted that I custom make a pair of earrings that matched the Color of the Year. Jewelry crafted with semi-precious stones has been popular since the birth of civilization. You don’t have to educate a true art and craft lover about their value. Instead of Pantone, think Amethyst, Malachite, Hematite, Lapis Lazuli, Turquoise, or Onyx. Try working with metal or wire and nothing else. 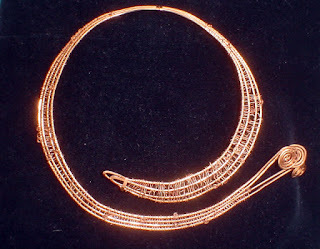 You can create jewelry using beautiful layer-on-layer of soldered metal or stylish woven wire techniques. When you use only wire or only metal (no beads), the only color you’ll need to think about is the color of the metal. You can rely on the earthy tones of copper, the pure shine of sterling silver, or the muted-gold look of brass. If you want to add beads, you can do that too... but again, forget about color. Metal looks so elegant when paired with neutral tones like pearls and stones like Labradorite. Learn from teachers, friends, and fellow crafters. Do class projects in bead shops. Make designs from tutorials on Etsy, craft blogs, or even Pinterest. But sooner or later you need to stop stealing ideas from everyone else and graduate to your own designs. Learn techniques, then develop your own look. When your jewelry stands out from the crowd, you forget all about trendy colors. Make one-of-a-kind must buy jewelry pieces that draw customers to you and your work. When you spend your time and energy creating little works of art, you’ll think about ideas, designs, and how best to put it all together. The next time you hear about color trends and seasonal hues, you’ll say “forget that mess!” You’ll be too busy creating fabulous jewelry.